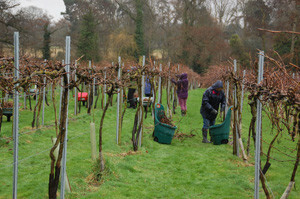 The hens were miffed to have been left out of the pruning party on 3rd march. 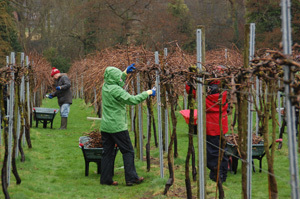 When they saw 14 bedraggled pruners coming in for lunch they then realised they were in the best place!!! 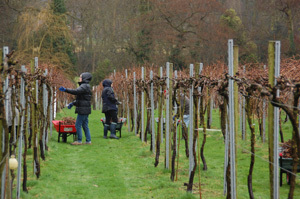 Many thanks to our valiant pruners who worked so productively in difficult conditions. 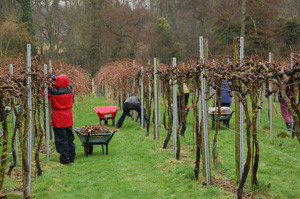 Believe it or not, they want to come back and do more pruning!